Any legal matter comes with a number of challenges. An injury can leave you unable to work, struggling with a permanent disability and stuck in a financial hole. At Robinson Salyers, PLLC, we go the extra mile, dedicating our resources, skill and experience to maximizing the value of your claim. A lot of big firms spend a lot of money on flashy commercials promising big results. What is more likely to happen is you will never meet the attorneys who appear in those commercials, and get passed from one inexperienced attorney to another. 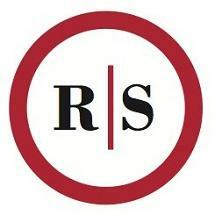 At Robinson Salyers, PLLC, you will always work directly with lawyers John Christopher Robinson or Benjamin Salyers. They use their legal experience of over 25 years to help you understand the types of compensation you are entitled to by law, and find a solution that meets your current and future needs. Our door is always open. To learn more about your rights and options, we invite you to contact our office in Frankfort to schedule a free consultation.